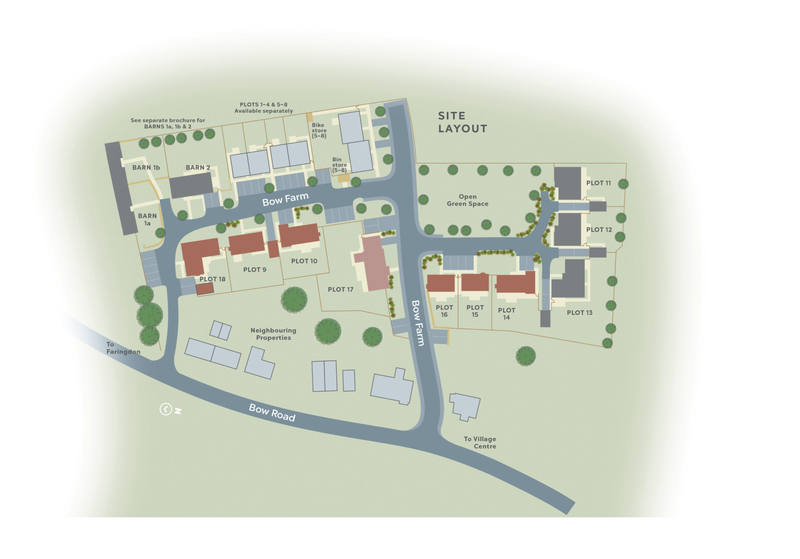 Occupation is now underway at Bow Farm and with only 2 plots remaining, time is running out! Reserve today to take advantage of our sales incentives at this fantastic development! With these remaining homes available for immediate occupation, let us help you to add the finishing touches to your new home. Bow Farm is an exclusive development comprising a suite of new build and converted barn properties, all benefiting from the very highest specifications for you to choose from. Each home features a stylish blend of traditional and contemporary internal finishes, with all properties featuring spacious kitchen living areas, en-suites to master bedrooms, detached or integral garages, enclosed gardens and a private green for the enjoyment of residents. Don’t delay, contact us on 01993 890760 to arrange a viewing. To register your interest in Bow Farm and/or to arrange a viewing, click the button below and fill out the form. Stanford in the Vale is a large village with approximately 2000 residents, situated in south west Oxfordshire. It lies on the A417, four miles from Faringdon and six miles from Wantage. It is a thriving village community with many active clubs and societies, a local supermarket with Post Office, a successful primary school, pre-school, parish church, village hall, public house and independent coffee shop. There is a mainline train service from Didcot Parkway to London (Paddington c. 45 minutes) within 30 minutes' drive. There is also a regular local village bus service. Beautiful countryside walks are literally on the doorstep of this historic village, with the Downs and famous White Horse of Uffington, the River Thames and the Cotswolds all within easy reach. Ede Homes are thrilled to launch a further show home. Wednesday 23rd May, 4pm - 8pm. Limited homes available at Bow Farm, Stanford in the Vale. Incentives available for May reservations.